We take photos with our phones in order to preserve the moments we’re living, to later have them in our pockets as memories. 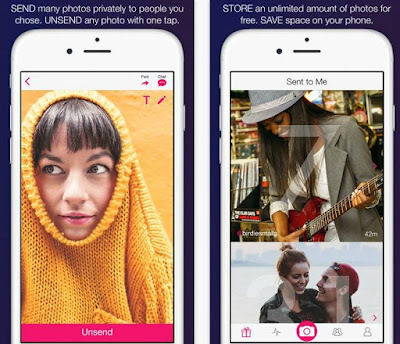 If you’re looking for an app that lets you take and send infinite photos, instantly, we have the perfect one for you. Keepsake is an incredible and unique app that was recently released on the iOS platform, designed with easy-to-use features, wonderful design and polished and intuitive user interface. The Keep sake app takes the photo sharing on a new, more exciting level. You don’t have to worry for you phone’s storage space anymore, this great app empowers you to save them within it and share them to whoever you want to, whenever you like. Just take a photo directly with the app or upload the ones you like and choose the people you want to send them to. Your contacts are kept private, there will be no spam, ever! The app also contains an undo option. Tap on it and unsend any photos you’ve already sent to your friends. Your photos are your property! Keepsake lets you have more fun – doodle the photos you share and start chatting with your friends. Download it now and enjoy taking and sending infinite photos with friends, instantly. You can find it on the App Store, where it is free of charge!